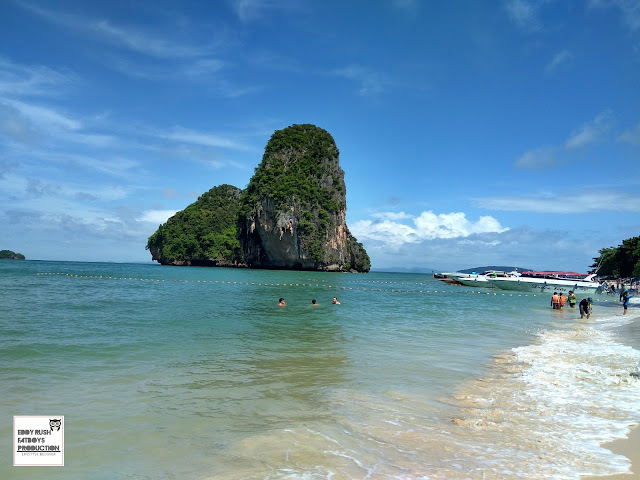 This is a popular day trip from Ao Nang, taking in the group of islands closest to the coast – the ones that can be seen on the horizon from the beach. 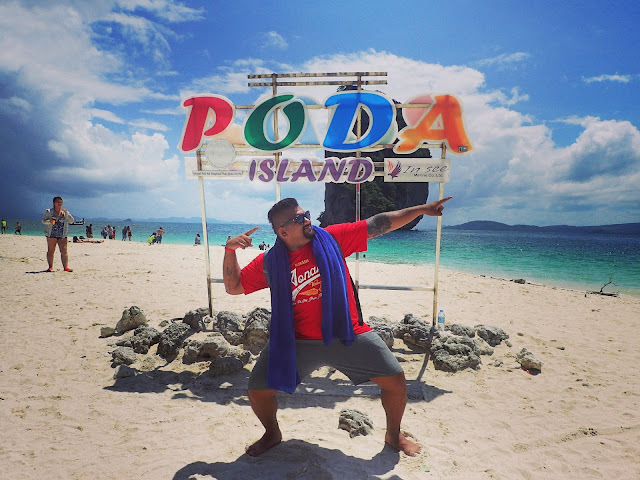 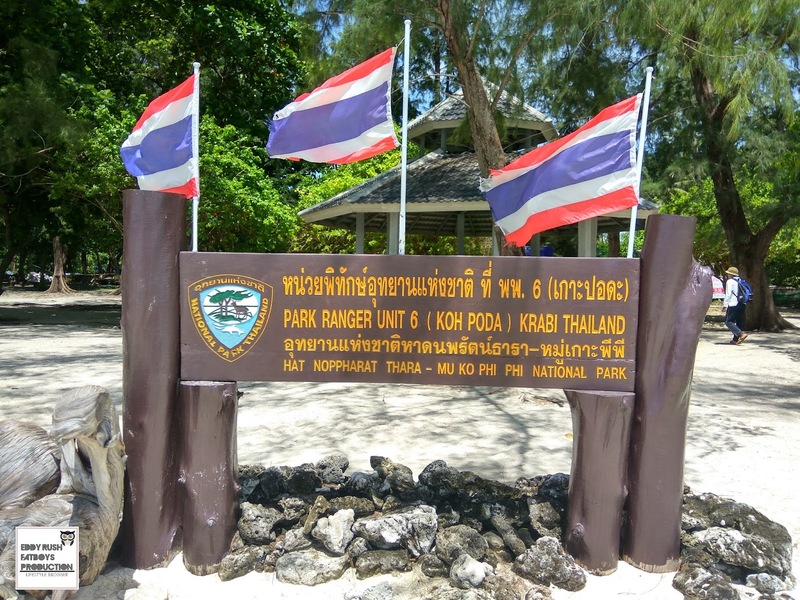 The four islands are Koh Poda, Koh Gai (Chicken Island), Koh Tub and Koh Mor . 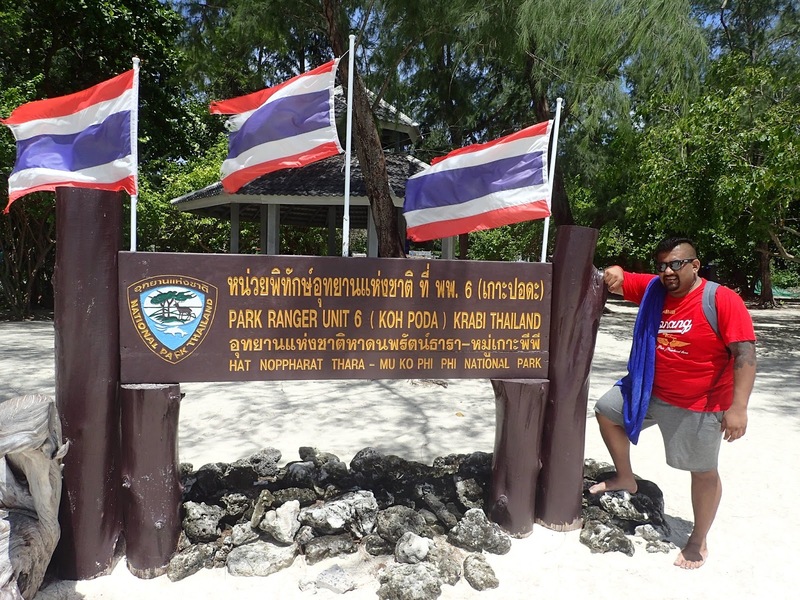 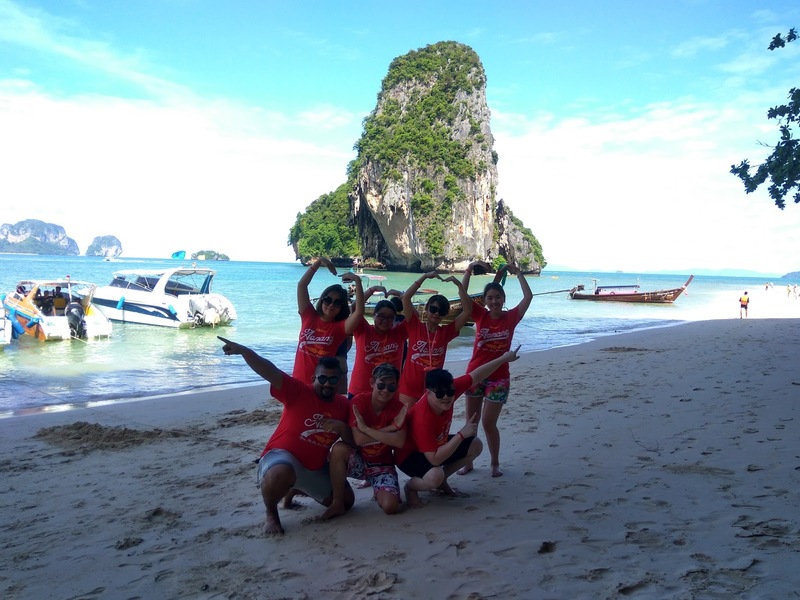 This classic Krabi itinerary will take you to a couple of local landmarks . 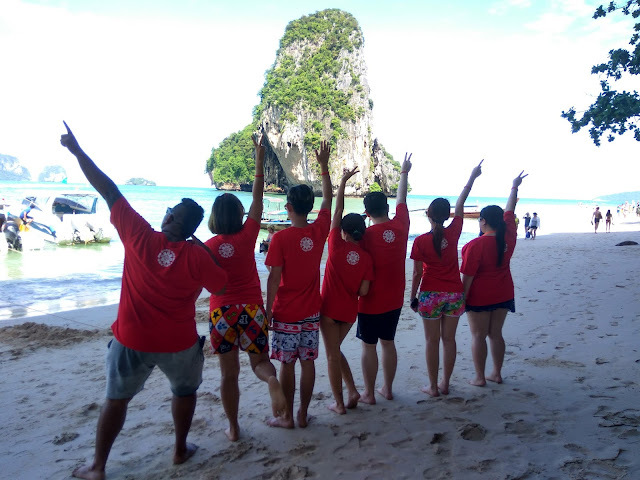 and spend time on the amazing powder white beach that adorns almost every Thailand travel brochure in existence , As with all island tours, the itinerary order will vary according to the tides and sea conditions on your day of travel . 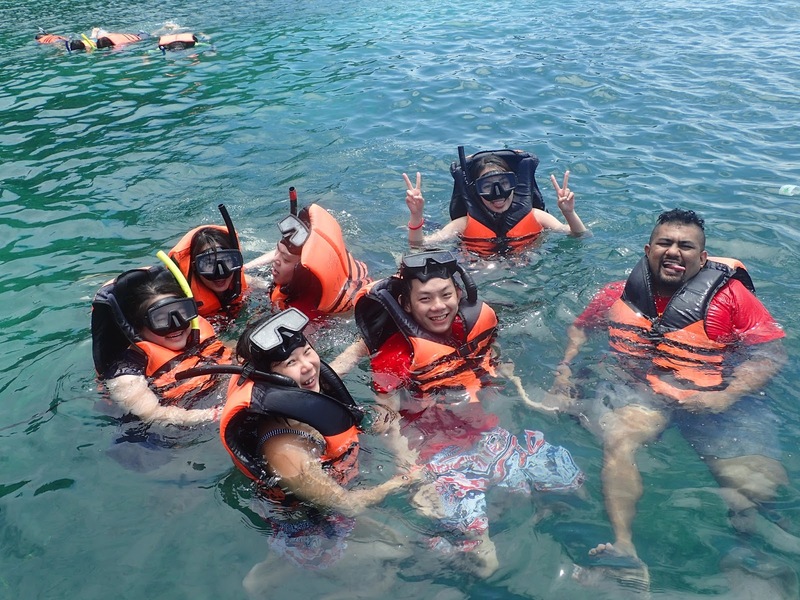 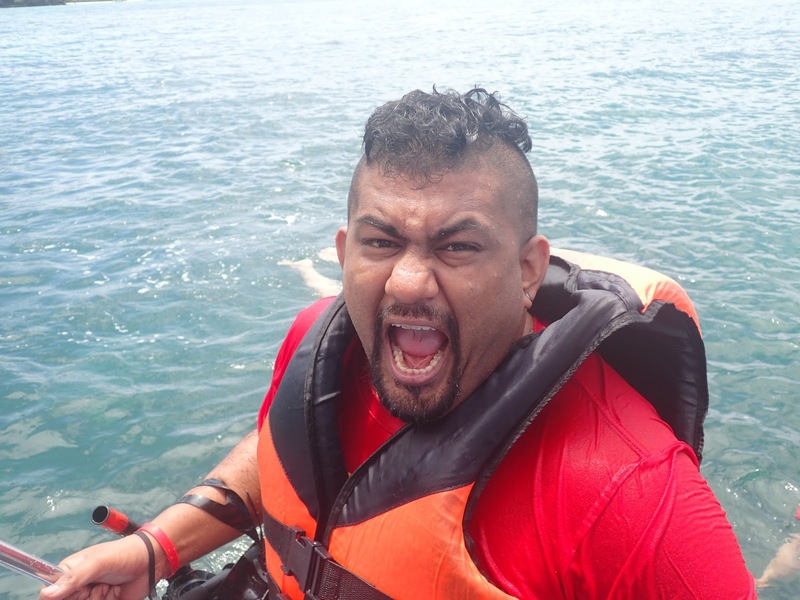 This trip includes 1 open water snorkeling stops of around 20 – 30 minutes . Stops off at the beautiful Phra Nang Cave Beach on the Railay peninsula . 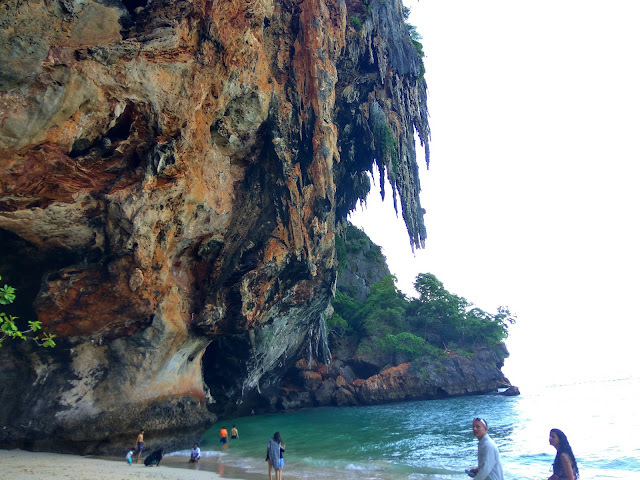 This beach , inaccessible by road, is considered to be one of the most beautiful strips of sand in the world . 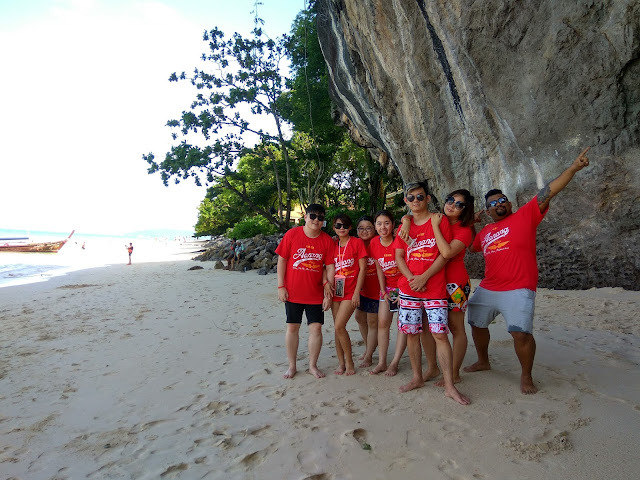 Chicken Island is really called “Axe Island” or Koh Hua Gwan; it was dubbed “that chicken island” by Krabi’s first tourists and the nickname stuck. 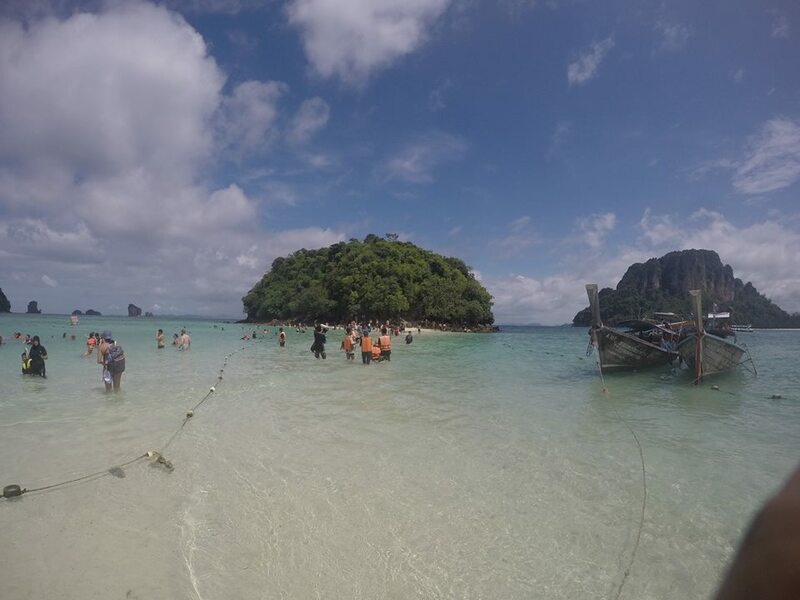 At low tide, the boat will stop between Chicken Island with the two tiny islands of Koh Mor and Koh Tub, where you will have the opportunity to walk along the sweeping three-pronged sandbar that links the three together. 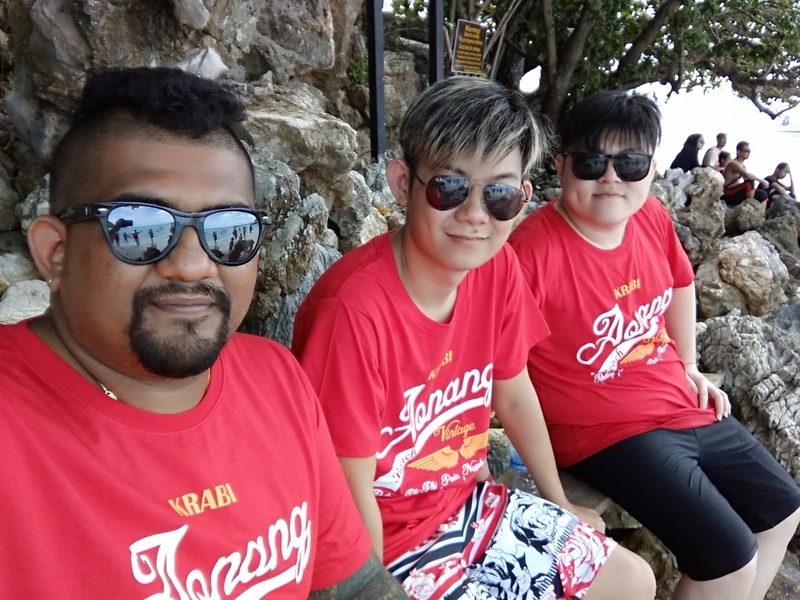 Enjoy Swimming and snorkeling at open water searby the islands , which could be near Koh Yawasam, a rocky outcrop with fairly intact coral reefs and decent marine life, or at the rear of Chicken Island . 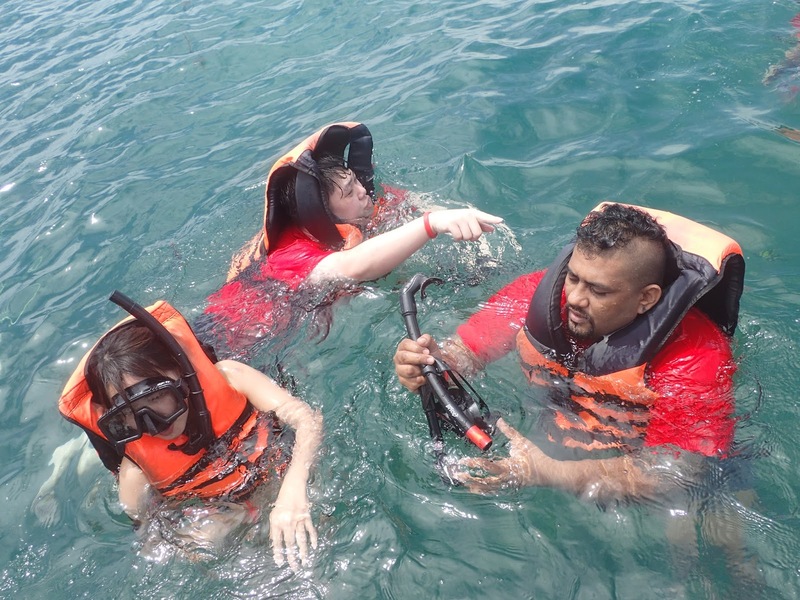 Nothing to see bottom of the sea , seem all the coral was dead . 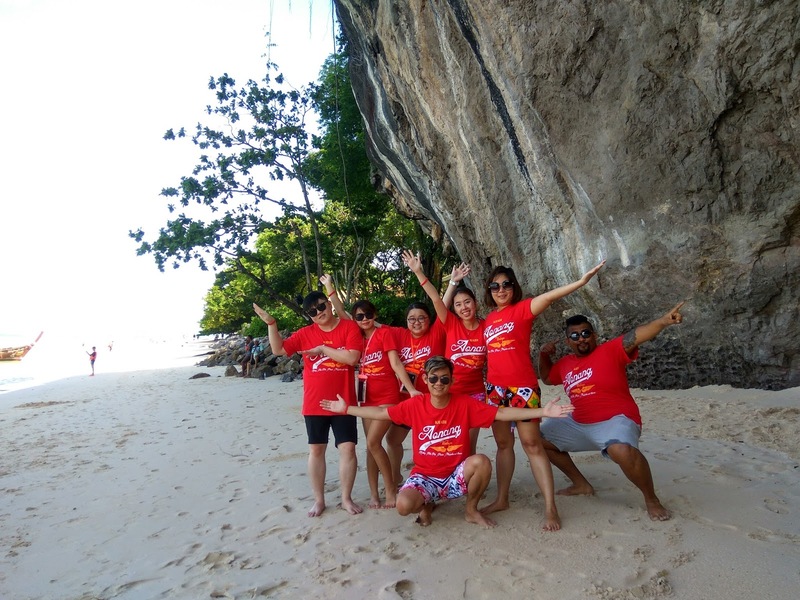 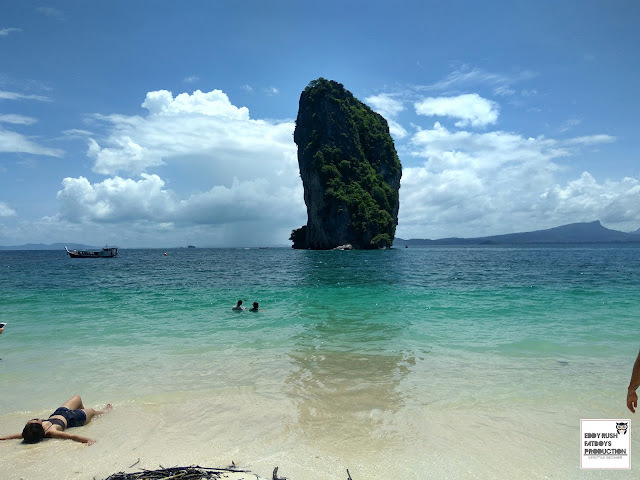 Koh Poda is famous for its white beaches and turquoise water , the huge rock in front of it (pictured above) has been featured on countless postcards , screeensavers and tourist brochures , so don’t miss the opportunity to snap your own photo memory here . include a picnic lunch on the island . -Extra pay for National Park Fee is 400 Baht Adult and 200 Baht for Child 4-11 years . 08:20 - Pick up from hotel . 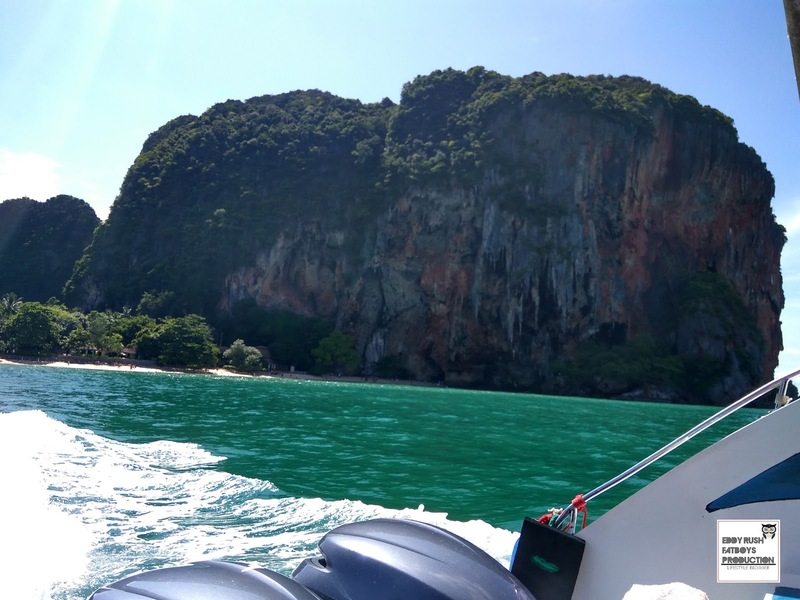 09:30 - Boat Departs from the pier. 14.30 - Return to Aonang Hotel .